This is the first ever yet I missed it! I wasn't able to wake up that early to grab some free mcmuffins! Anyway, at least, I tried setting the alarm. 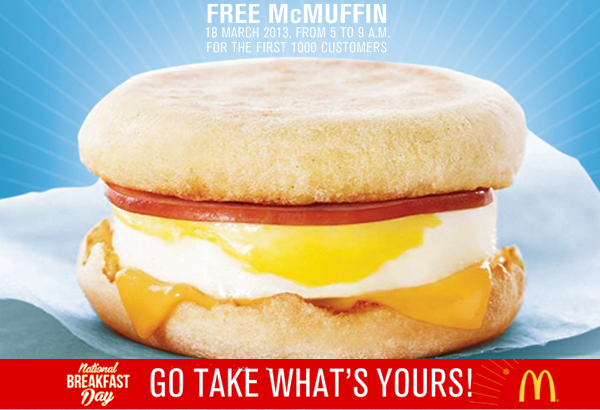 Thanks for this post I'll bookmark this so it would remind me of the next free breakfast from Mcdo! Yeah I missed this as well since I took a half-day and have to go to work at noon.